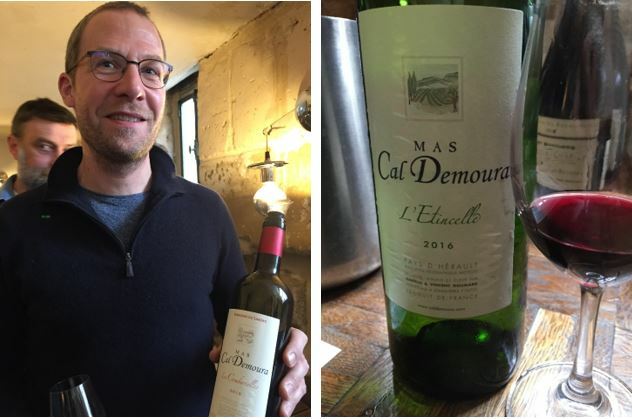 Having moved to the Terrasses du Larzac appellation 15 years ago, Isabelle & Vincent Goumard of domain Mas Cal Demoura produce outstanding terroir-driven wines. 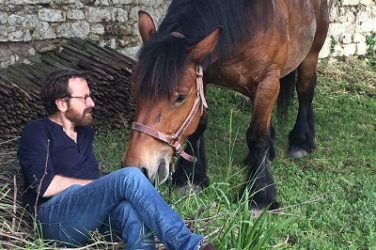 We take a closer look at this domain, one of the driving forces behind the current revolution of Languedoc wine. 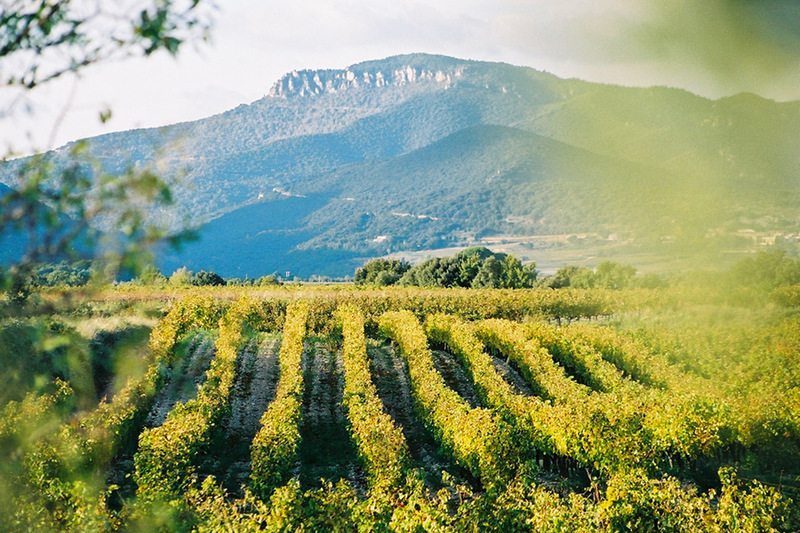 The domain Mas Cal Demoura is located in Joncquières and was founded in the early 90s by Jean-Pierre Jullien. In Occitan, “Cal Demoura” means “we must stay”, and is a reference to the ‘exodus’ of sorts when Languedoc producers abandoned their land. Jean-Pierre Jullien decided to make a way of life out of this motto. A passionate winemaker and active member of the qualitative renewal of viticulture in the region, he carried out his fist vinifications in 1993 with grapes from the finest parcels around the village of Jonquières. In the early 2000s, Vincent Goumard, who at the time was a strategic consultant in Paris, decided to give it all up. 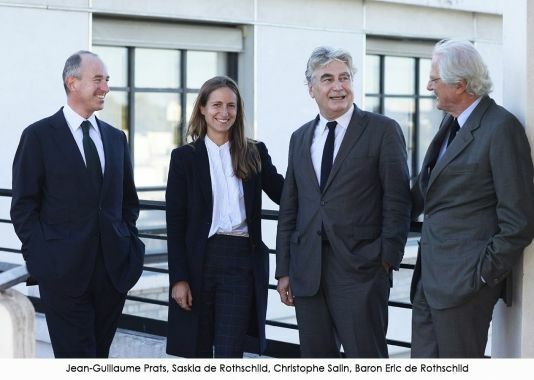 With his wife Isabelle, a wine enthusiast like him, they threw themselves into a new adventure: having obtained their diploma in enology from the University of Dijon, the couple bought the domain and expanded it by buying vines from Mas Jullien. Mas Cal Demura now has 16 hectares of vines and produces around 45,000 bottles per year. 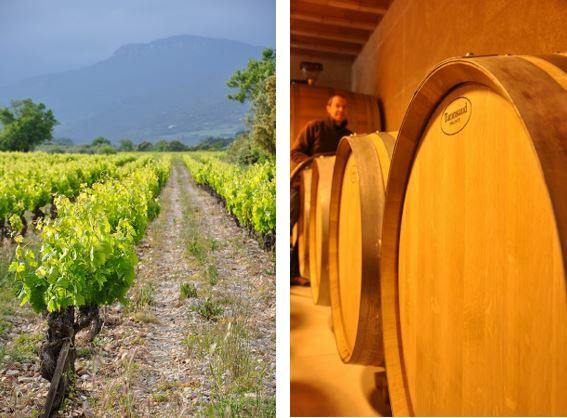 At 30km to the west of Montpellier, the domain’s terroir is primarily limestone gravel and clay-limestone. The clement Mediterranean climate is balanced by the cool wind of neighbouring Larzac, allowing the grapes to retain their acidity, thanks to the cool summer nights. The domain cultivates 5 red varieties (Carignan, Cinsault, Grenache Blanc, Grenache Noir, Mourvèdre, Syrah) and 6 white (chenin, petit manseng, roussanne, viognier). From the outset, the owners’ main concern was respect for the terroir and the environment. The domain gained organic certification in 2010. Organic and biodynamic treatments are used, the soils are tilled, and the vines are trained low. To produce concentrated grapes which reflect the terroir, the yields are kept at around 25 to 30hl/ha. The vines are around 30 years old. Only the finest grapes are used, and optimal maturity is sought for each variety on each parcel, all the while maintaining the fresh, fruity flavours. The grapes are harvested by hand and sorted both in the vineyard then on a sorting table. In the winery, vinifications and élevages accompany the grapes in the most natural way possible. The grapes ferment with natural yeasts and the wines are matured parcel-by-parcel. The reds ferment in temperature-controlled stainless-steel vats for 15-45 days. 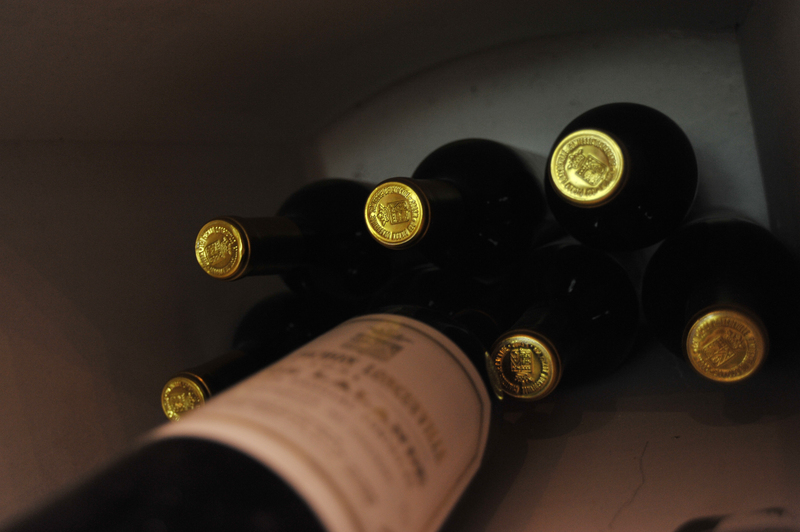 The wines are matured for 12 months in demi-muids and barrels. They are then tasted before deciding on the final blends. After 4 more months of élevage, the wines are bottled. For the whites, after gentle pressing, each grape variety is vinified separately. The Chenin, Grenache blanc and Roussanne ferment in barrels, whereas the Viognier and Muscat are vinified in vats. This cuvée is produced from a majority of old Syrah on a terroir of limestone gravel, lending it depth, minerality and great dynamism. Elevage of 18 months in demi-muids. Taste with a lamb stew. The cuvée « Terre de Jonquières », formerly called « L’infidèle » (until the 2014 vintage) is made up of five regional grape varieties – Syrah, Mourvèdre, Grenache, Carignan and Cinsault. It offers up aromas of black fruit, and liquorice notes and garrigue. On the palate it is both elegant and structured, fresh and deep. Its balance makes it accessible when young, but it can also be kept for between ten and fifteen years; it will pair beautifully with beef, lamb and even some sauce-based game dishes. Les Combariolles is a cuvée from a single vineyard, aged for 18 months in 600 and 500 litre demi-muids and in an oval, 2400 litre foudre. When tasting, it is a deep and classy wine, offering magnificent sap and elegant substance. Drink with meat such as lamb or duck. This blend is produced from a majority of Chenin, which lends it exceptional freshness for a southern wine. L’Etincelle has great splendid aromatic intensity, with notes of citrus fruits and white peach. The minerality typical of the terroir of limestone gravel contributes to the voluptuous balance and length of the wine, with a fresh, saline finish. Enjoy this cuvée with seafood, oven-baked fish or aged goat’s cheese. 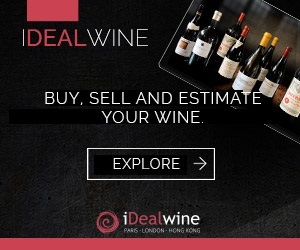 Organising your cellar | What proportion of wine from each region should you have in your cellar? 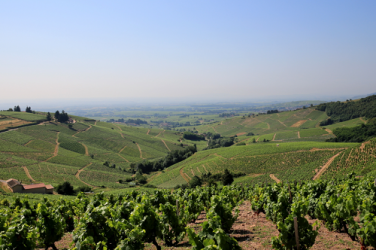 We have the pleasure of presenting you with our allocation of the week: domain Dominique Piron. A telephone conversation with this celebrated vigneron. Having developed his style, evolving towards greater precision and freshness, Thierry Germain of Domaine des Roches Neuves has become one of the great masters of the Loire valley.